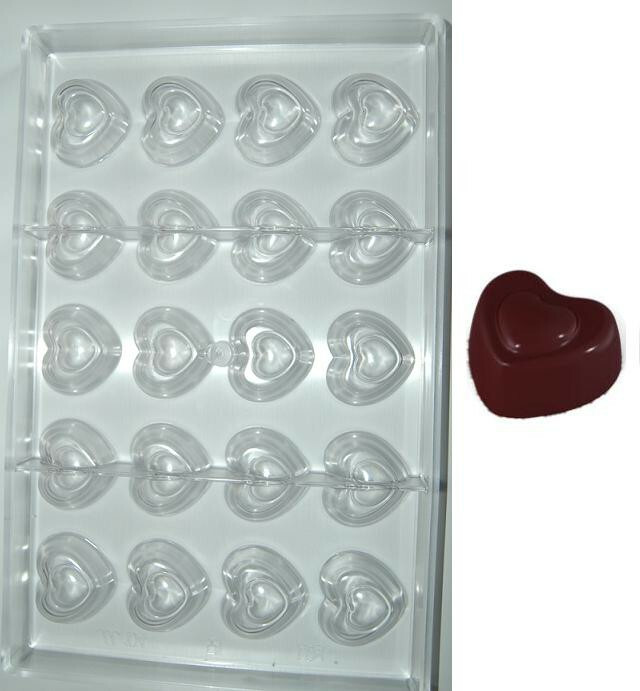 Polycarbonate mold for making 20 heart-shaped chocolates. Chocolate size: 29.80x33.20 mm. - Height 15.3 mm - Weight 10 Gr.